In 2013, WIAS obtained the berufundfamilie audit certificate for a period of three years. A target agreement was signed to optimize the institute's family-friendly arrangements. With the certificate, WIAS aims to document its commitment towards the harmonization of work and family both internally and externally and implement central research policy objectives. In the meantime WIAS successfully completed the re-audit and on June 20th 2017 WIAS received the next certificate. 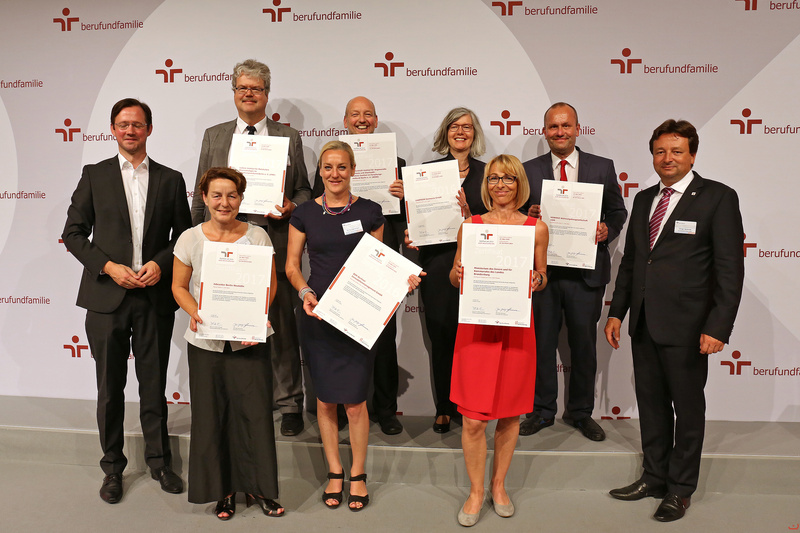 Member of WIAS management Prof. Dr. Hömberg receives the certificate (2. row, center). 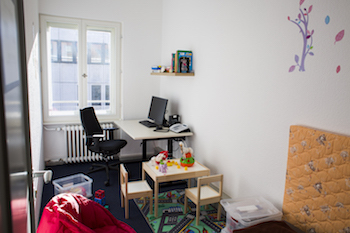 For mothers and fathers who temporarily wish to take care of a small child in the immediate vicinity of their working place WIAS provides a parent-and-child office (room 402 in Mohrenstrasse 39). There is a computer workplace with internet access and a telephone (no. 402) to allow to care for a child in emergencies like a strike action in the kindergarten or a slight and non-contagious disease of a child, the cancellation of classes at school or a cancellation at short notice by the day nanny. At the same time, one can do some work and have access to the needed documents. Additionally, in the room exists a playpen/bed and two folding mattresses that can also be used in emergencies by collaborators who do not feel well. All electrical sockets are childproof. A first-aid kit can be found in the kitchen next door, where there is also a microwave oven that can be used to warm up baby food and milk. Clean linen (with a waterproof layer, please), cuddly toys, dishes, and other things with special hygienic requirements must be brought by the parents themselves. 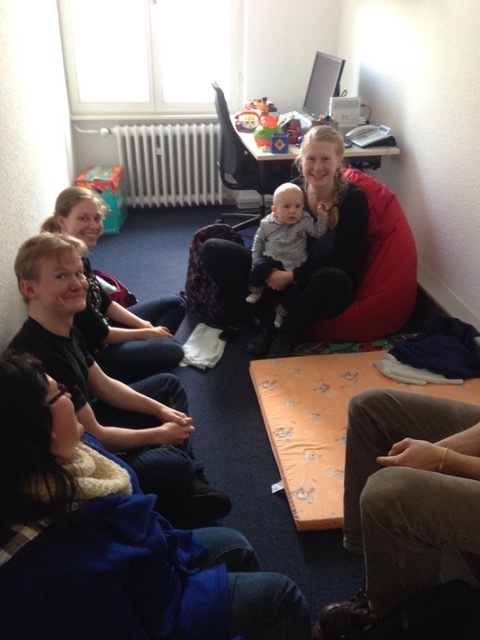 After having signed the Rules for using the parent-and-child office (in German only), you can get the key for the room by WIAS administration staff. In the buiding Hausvogteiplatz one can find travel cots in the cloak rooms to be taken into the office. You can find further information on equal opportunities on our staff only pages.